Each year, hundreds of thousands of students enroll in AP. Everyone has their own reasons—from proving they can do it, to getting prepared for college, to exploring potential career paths. Whatever the motivation, students just like you found the AP classes that were right for them and signed up. As you’ll hear, right here. Roshini talks about how taking AP courses allowed her to tackle high level college classes early. There are a lot of reasons to take AP. 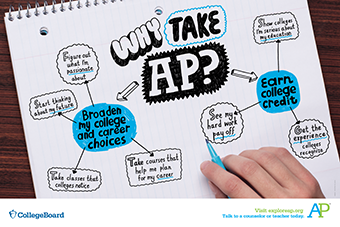 We want to help you start thinking about some of them and why AP might be right for you. The experience of an AP class is like nothing else. 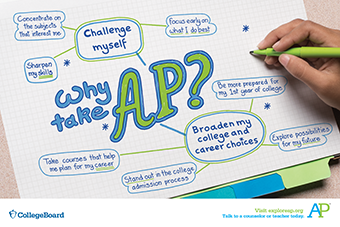 Get useful tips for talking to a counselor or teacher about AP. 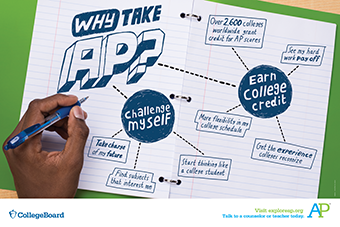 AP courses can help make college goals a reality.